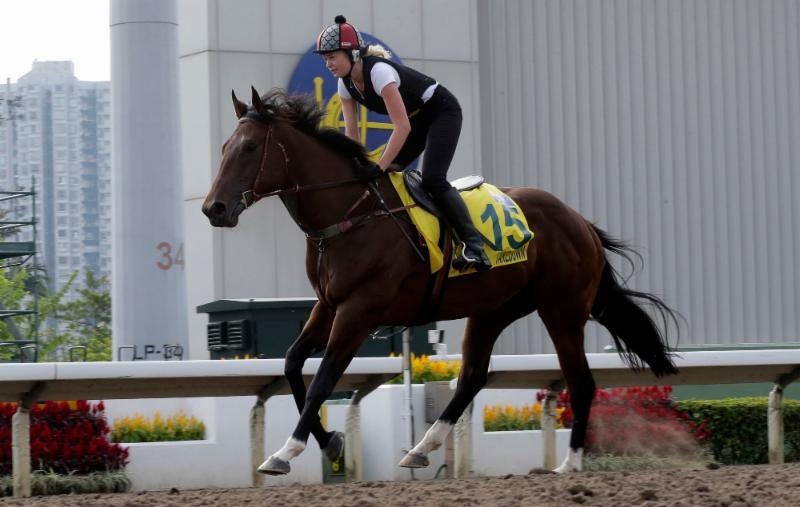 Australian sprinter Takedown seemingly faces a herculean task to win Sunday’s G1 LONGINES Hong Kong Sprint (1200m) but his effervescent trainer Gary Moore remains typically upbeat. The massive gelded son of Stratum, who stands 17 hands and weighs in at 617 kilograms, has to overcome the rigours of travel from Melbourne to Perth to Hong Kong in less than a month, and back-up just two weeks after his G1 Winterbottom Stakes win, in the Western Australian capital, on 26 November. It is, however, a path which has not been previously unexplored. “I think Apache Cat ran second in Perth before coming here and running so well the year Inspiration, trained by my brother John, won the Sprint,” Moore said. His memory serves him well. Apache Cat, the only Australian-trained sprinter to finish top three in the HKIR Sprint since Falvelon’s second win in 2001, travelled from Melbourne to Perth when runner-up to Takeover Target in the 2008 Winterbottom Stakes before finishing a half-length third behind Inspiration and Green Birdie at Sha Tin. Moore is buoyed by that history and the fact that his horse seems to be showing no ill effects from his recent travel. “There’s no indication from his blood profile that he’s jaded in any way. There’s no sign of fatigue. He’s a durable horse who does well in the stable and he looks really well. It was quite hot in Perth but he coped with the heat and came through the race in good order,” Moore said. Takedown has won at his past four starts up to 1200 metres (three of them at 1200m). “It’s obviously his optimum distance and we may have erred stretching him to 1400 metres on occasions but then again he was unlucky at that trip in Caulfield in October and was probably above himself in condition when he ran at Flemington during (Melbourne) Cup week,” he said. The trainer would, unsurprisingly, like to see the horse draw well but doesn’t see it as critical. “A good alley would be great so he can sit right on the speed and hopefully win. But he never seems to draw that well and maybe that’s not a bad thing for a big horse as he is. He did win from (barrier) eight in Perth,” he said. The gelding has won six of his seven races going right-handed and Moore believes there are two other factors which will be in his favour in Hong Kong. “They tend to go at a fast gallop here, which will suit and he’ll like the ground,” he said. Takedown exercises at Sha Tin this morning.